I met with Kelly Perkins of Spinster Sisters on a beautiful day in Golden, Colorado about a week before I was due head out to NYC back in June. She had just opened up her first storefront in a quaint brick building off of the main tourist drag. Walking into the somehow thick but clean scent of mingling hand-made soaps, it was filled to the brim with exactly what you would expect a microsoapery to have. Vintage letter-press packaged, all-natural handmade bath products. 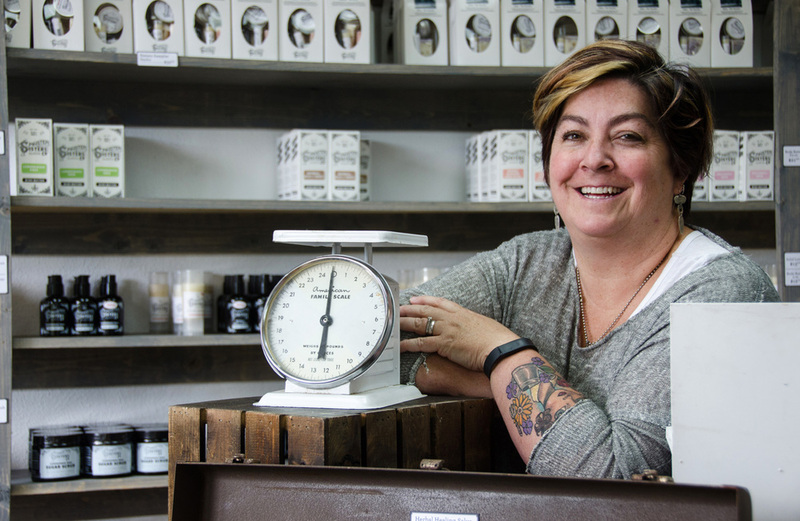 Kelly is an all-natural soap maker who started off with bar soaps and has now expanded into dozens of products with a delicious array of scents. All of them are good for the body and good for the environment. And all over the country, her products are in shops throughout the whole US. Not a spinster and now the only one of two sisters working on this brand, Kelly has her hand in all the honey pots. From finance and management to experimenting to produce all new product. She came from the same hometown as me, and we went to the same high school, a few years apart. It was intriguing, to say the least, to find out how she got to where she is today. How did you get started making soaps? Forever ago back in 1993, I read an article about some of the horrible chemicals that are in commercial soaps. I thought, I’ll learn how to make natural soap and give it people for Christmas presents. So made a batch of soap, and packaged up about half of it to give out as presents. My sister’s work was having a craft fair, and she thought that we should sell our leftovers there. We lived together at the time and joked about how we were going to become spinsters together, so we came up with Spinster Sisters, and that’s the only thing my sister has ever had to do with the company. It ended up being my husband a couple years later who suggested I sell more of it when we moved to Golden. I did a fair in Denver, and I shared a booth with a friend of mine. The soap was out there, not packaged, and I couldn’t believe how much I sold. There’s a lot more soap makers around now, but at the time there really wasn’t that many. I was just doing it for fun, on weekends, and within a year it came to the point where I was getting wholesale requests, and it was just too much to handle with my day job. So I quit my day job and started doing markets with soap, and it’s just kind of grown from there. What was it about that market/faire experience that you really enjoyed? I love it! Doing markets are so fun. You meet the nicest people and they’re really engaged, they want to know about your process and the ingredients you use. It’s just nice to get out there and get people’s immediate feedback on your product. And people are out to have a good time, almost always in a good mood. It’s a good environment. But now you have opened up your first storefront! First of many! Again, I’ll get people coming in and telling me ”I’ve been buying your stuff for three years from this market and that market, and I’m so glad you’re here!” It’s not even on a retail street, really, so a lot of people that we get are just driving by and see us. It’s been really fun. 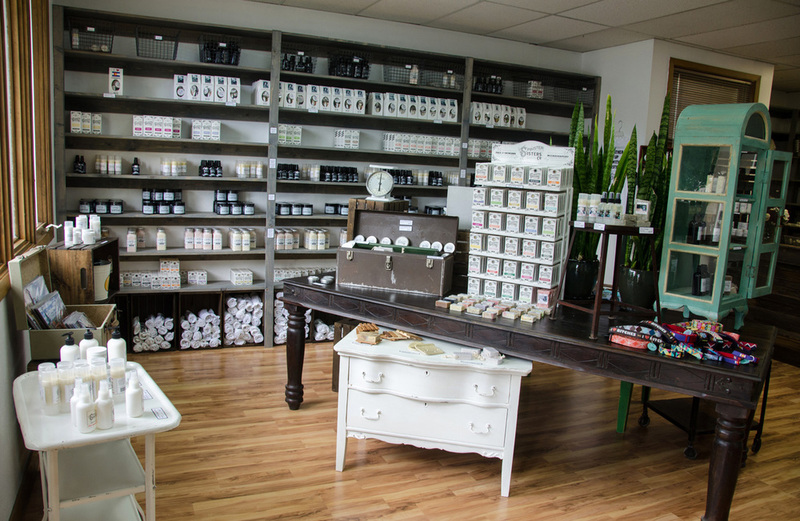 Do you think that your penchant for environmentally friendly products came from growing up in the Boulder area? Oh yeah, for sure. Absolutely. And in fact up until a month ago, our whole facility was powered by solar energy. It’s actually strange to me to go other places. We’re rabid about composting here, recycling, and all of that stuff. And I go to other places to visit people, and they don’t even have recycling bins! It’s 2015, how can you not be recycling? Yeah, I’ve lived in places where they don’t have recycling or composting systems! I worked for the Antarctic program for years, and even in Antarctica there’s a recycling program. So there’s no excuse for people not to be recycling! In the natural soap, what are the ingredients that you use? For the base I use all-natural vegetable oils. So I use coconut oil, palm oil, and we use sustainable palm oil because that’s definitely a concern for the environment. Argan oil, apricot kernel oil, shea butter and cocoa butter. Just a big blend of ingredients. And many of those ingredients come from partnerships and collaborations, how those have come about? Global Mamas provide the shea butter, the money goes directly to the women in Ghana that are making it. It’s a good program to help women-owned businesses get going, in a country like Ghana. Is that just about the scent, or is there other cleansing factors? It depends on the product. Coffee is a great deoderizer, we use coffee grounds in our pet soap. And obviously it wakes you up a little bit. The Kombucha has cranberry in it, which is an antioxidant, which is really good for a face soap. Some of it’s just fun, you know, to have a beer soap is fun. It just depends on the product. The base ingredients that I’ve selected for the soap are really what the soap is about. Shea butter has natural vitamins A and E in it, so it’s good for your skin, it’s good for healing. What we put on top of the base ingredients is more for the fun. When you’re processing soap, what are the stages? It’s a lot of just trying out the products, and trying a different blend of oils and add your emulcifier and scent. Try it out, we go back and forth until we feel like we’ve found the right blend. Sounds like a lot of product ideas come from input you get from customers? Usually if I hear it repeatedly from several people, “you should try making this!” I give it a shot. And it’s an experimentation process? I do a lot of research on ingredients, and a lot of experimenting. Haha, are you the test subject? Me, my friends, my husband! Anyone I can find. Anybody that walks in the door I ask, “what do you think of this?” That’s the beauty of having this retail space. When we moved in here it was supposed to be manufacturing. And I thought, we might as well put a kind of a test kitchen out there, people can try new products and I can get their feedback immediately. Is it all produced in big batches? was 14 bars and now I make 110 bars per batch. We’re definitely scaling up, but soap has to cure for 4 - 6 weeks so it sits in the back room and cures for a while. Once it’s ready to go, we box it up and put it in the retail store, or we have 200 wholesale customers around the country, and growing. Are you involved with the whole process still at this point, now that you’ve brought other people on? We’re growing pretty quickly, which is great. So it just depends on the day. I may be doing sales one day, accounting one day. 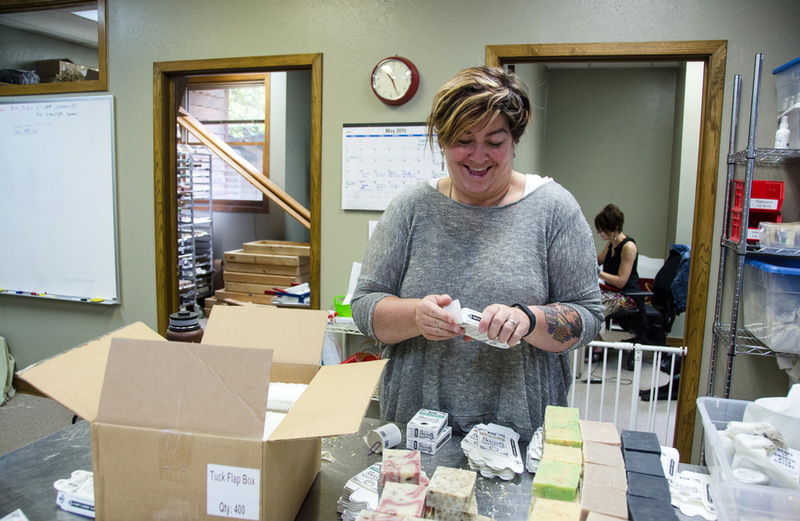 Today I’m boxing up soap for a really big order that we just got, it kind of all just depends. That whole retail area I tore down the walls and pulled out carpet and painted. I’m pretty hands-on, but others do a lot of the manufacturing now, and I’ll just come out and jump in when I can. But I’m still really involved. New products, I typically do most of the development on that. That’s a nice collaborative process! Ok, last question: what was the first scent that you made? It was Lavender, a classic.